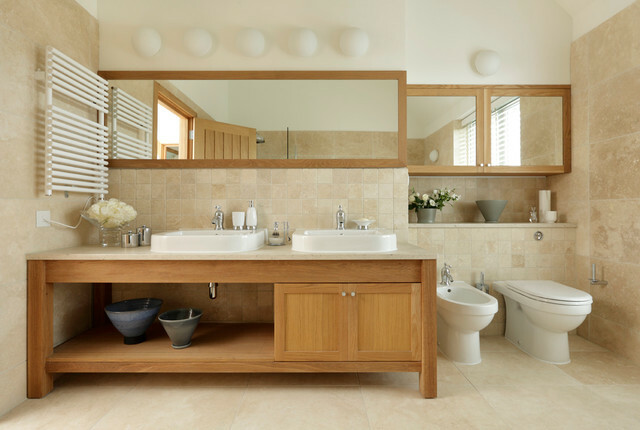 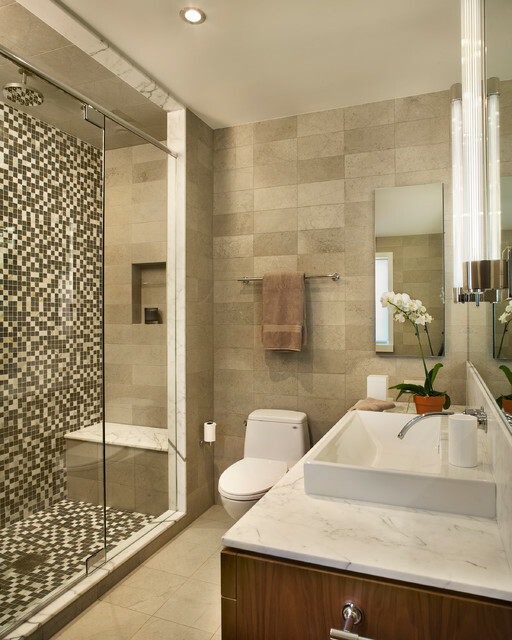 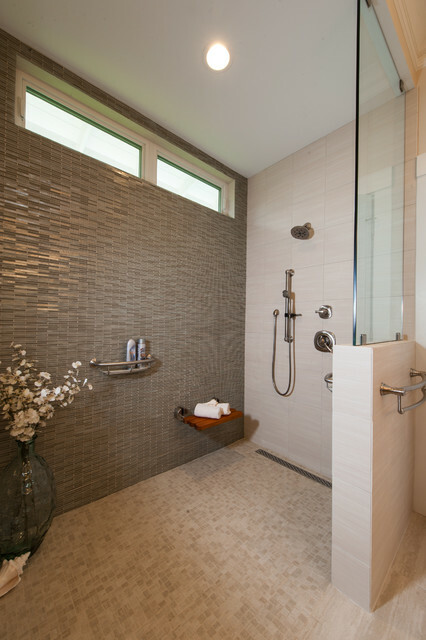 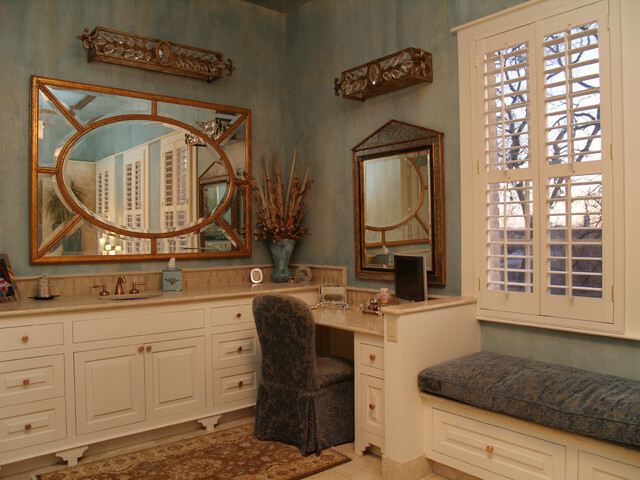 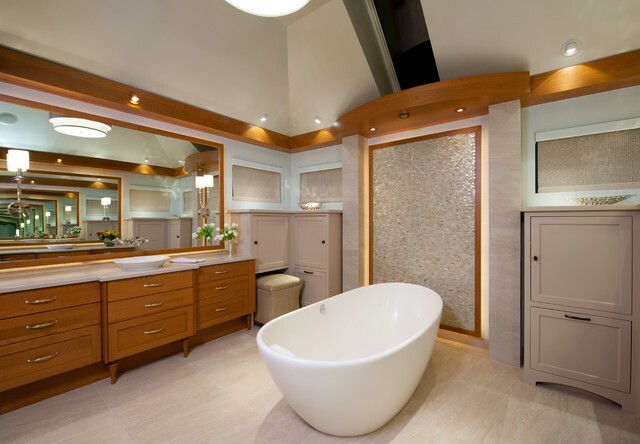 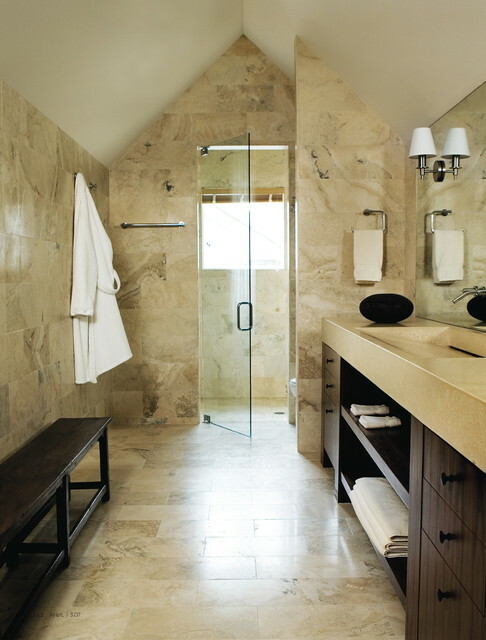 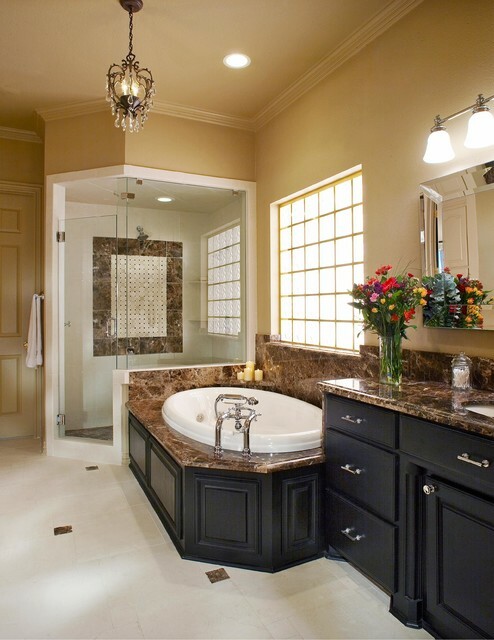 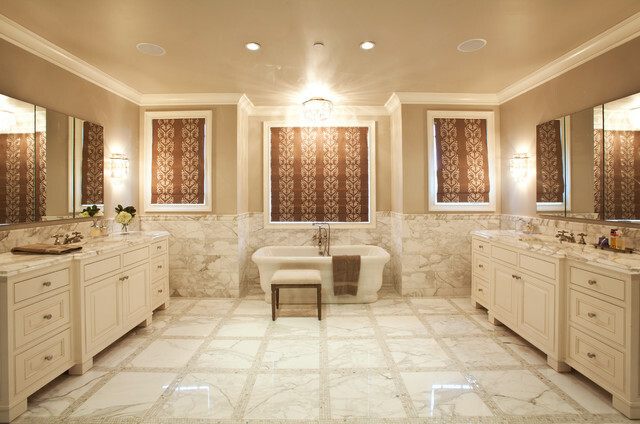 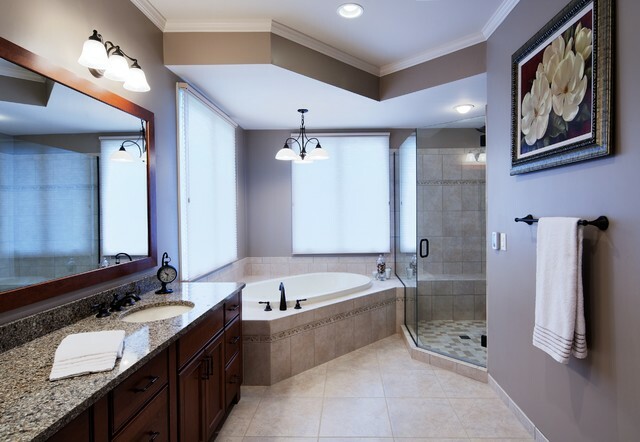 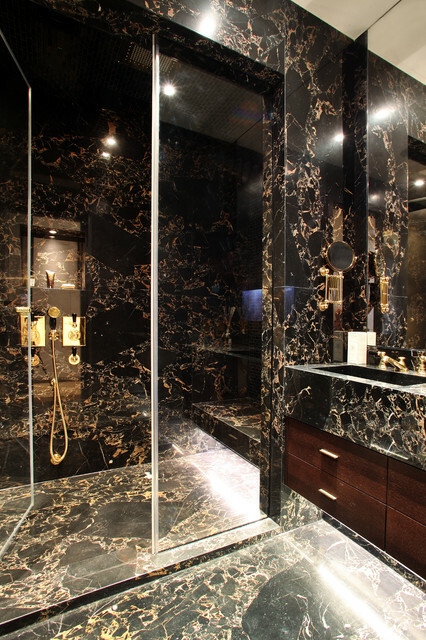 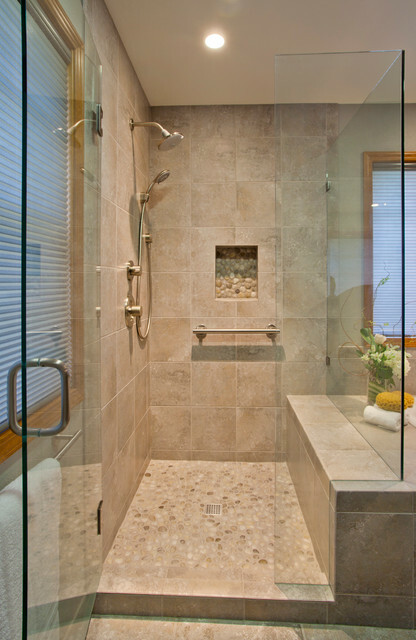 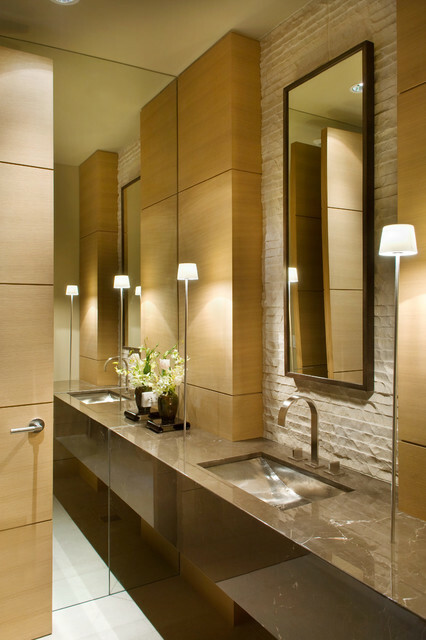 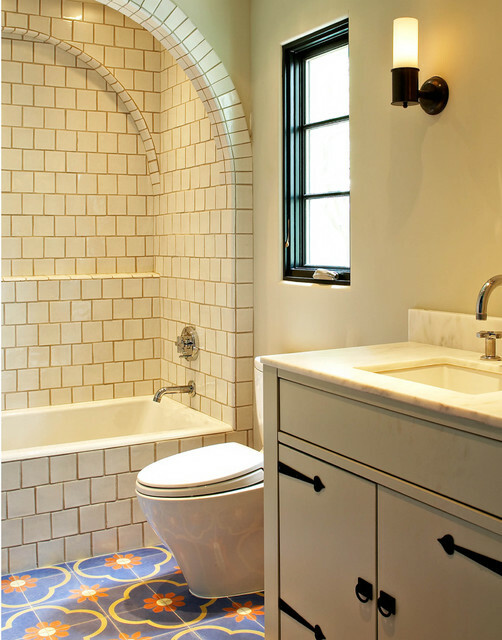 Master Bathroom - Traditional - Bathroom - Chicago - by Doreen Schweitzer Interiors, Ltd. 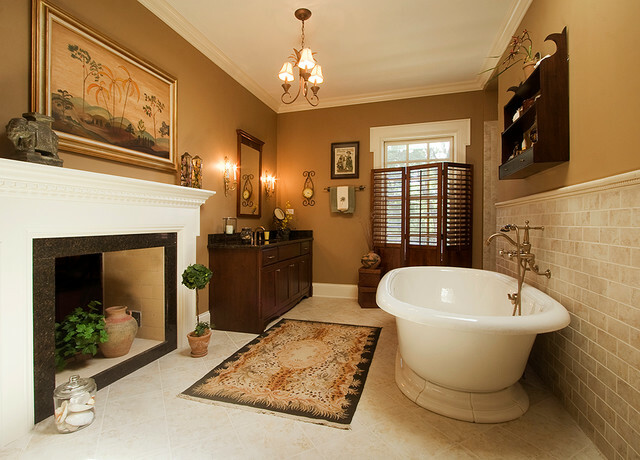 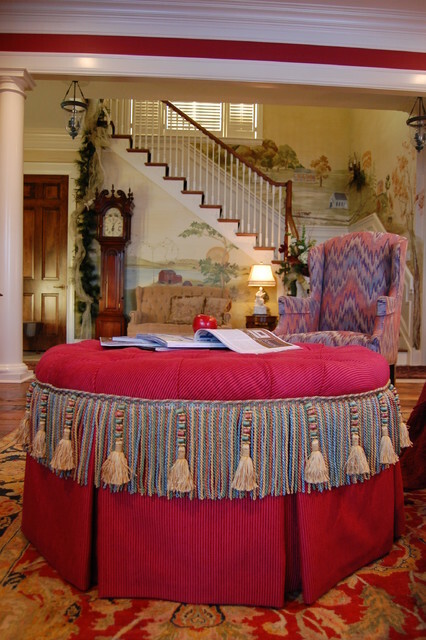 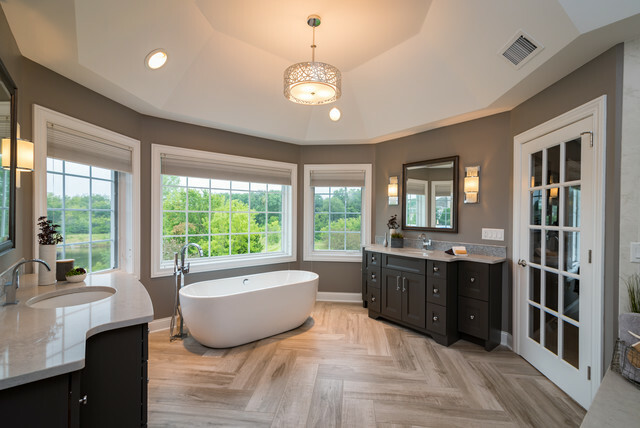 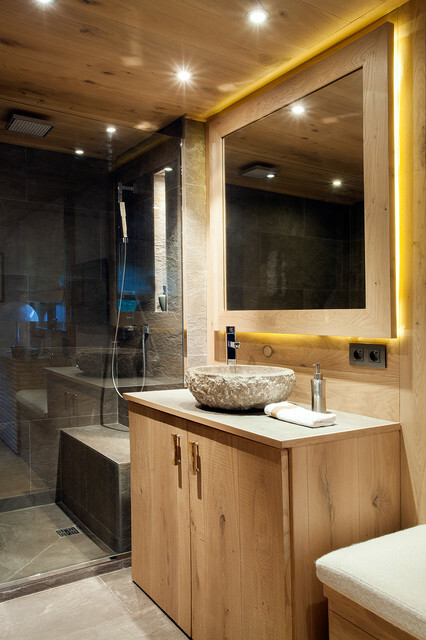 Imagine taking a soak in the pedestal tub by Kohler and ejoying a good book in front of the fire as you unwind in the warm bath. 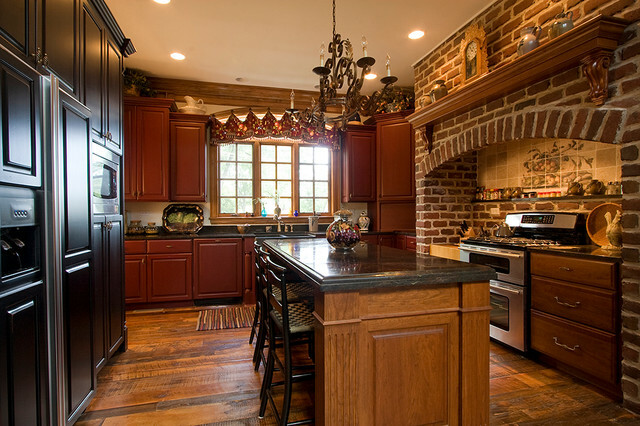 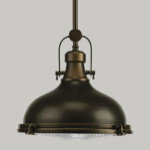 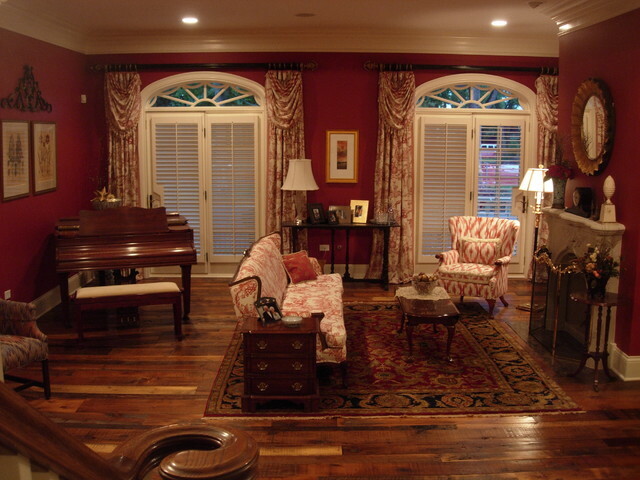 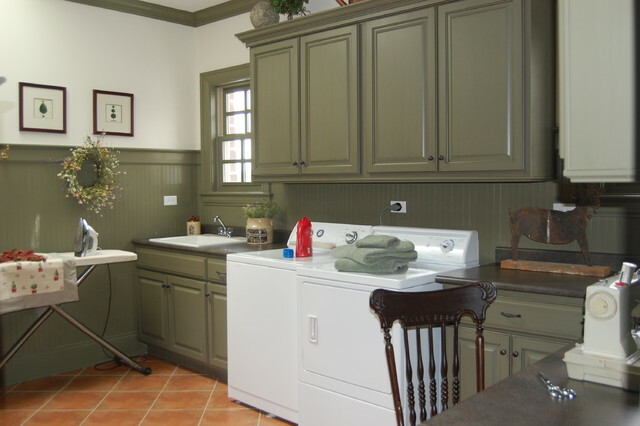 Wall color is Benjamin Moore 1055 Algonquin Trail. 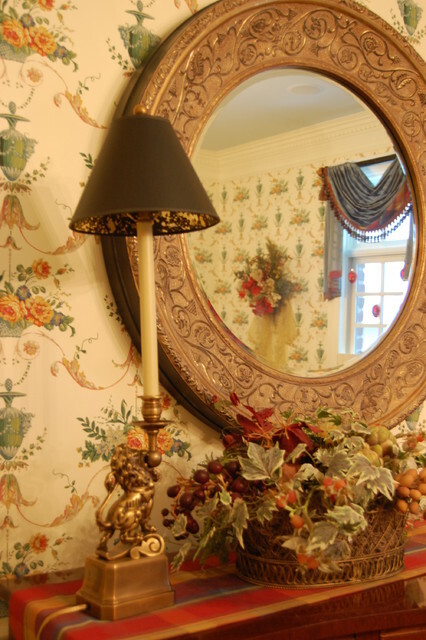 I'd really like a firecplace we can put a plant in.